The apartment is located in a second floor building, composed of no. 3 bedrooms with ensuite, kitchen and all comforts, the bedrooms are equipped with a / c. , The kitchen is complete with all the utensils, wifi throughout the house. 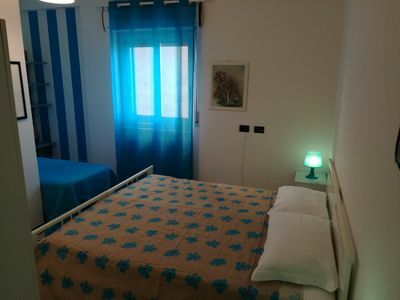 The apartment is 5 minutes from the Valley of the Temples, 10 minutes from the center of Agrigento. In the neighborhood there are 2 supermarket accessible even on foot, no parking problem, and the area is very quiet. Also a few meters from the apartment there are bus stops to reach even the areas of the Turkish Steps, the Valley of the Temples, and all the sea and city areas. Rooms will feature bed linens and toiletries kit.